Here’s a quick peek at a few of the many projects I’ve completed. Enjoy! 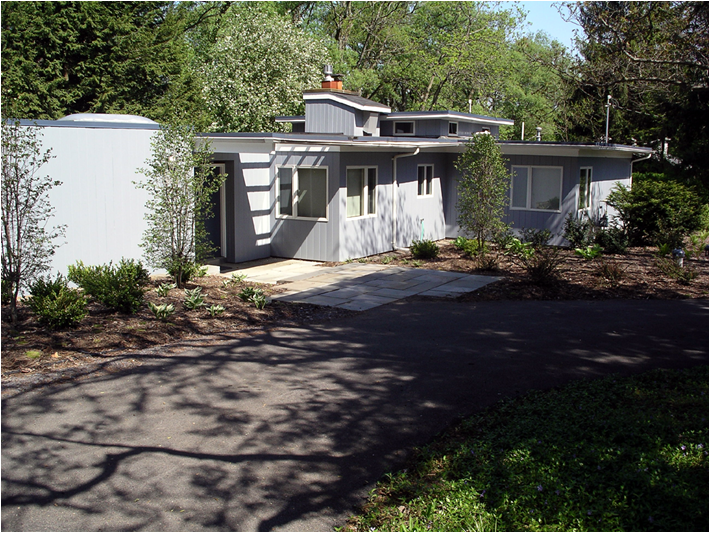 before | The owners of this Krisana Park gem—a home that hadn’t been renovated since it was built in 1954—knew they wanted a substantial vegetable garden, but the only place in their yard with enough light was the front yard. The back yard was simply not an option with deep shade. The husband was passionate about trying his hand at grapes, while the wife was interesting in vegetable gardening—and keeping the design in line with the house’s modern style. 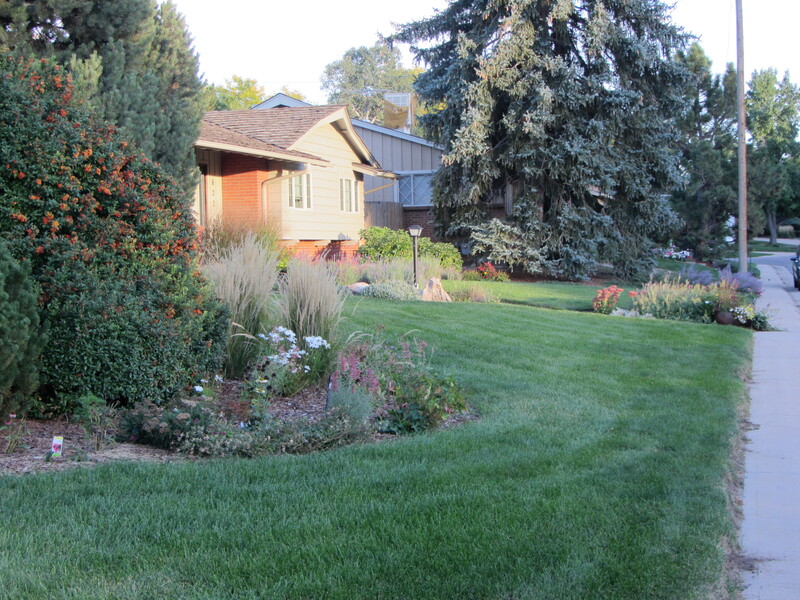 after | The solution was an agriculturally modern landscape design. 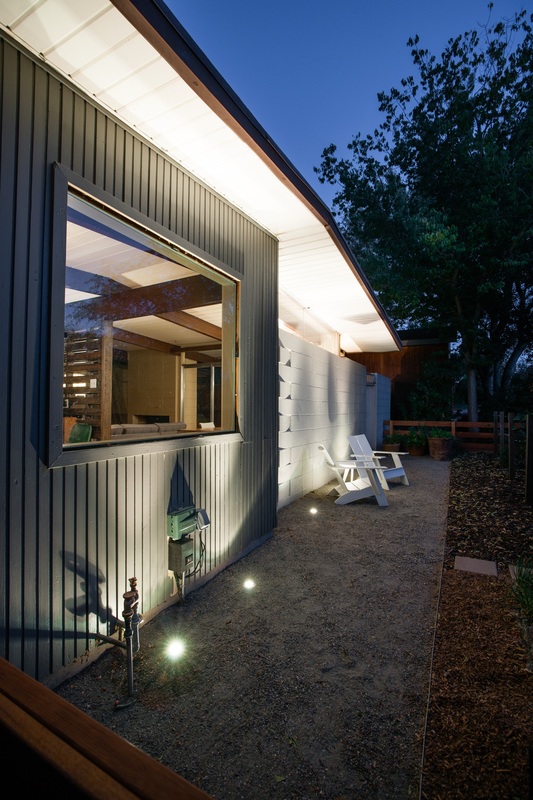 The design provides space for grape-growing and vegetable gardening, as well as a front patio that enables the owners to enjoy their newly created space, all while keeping strong modern elements in the design. The fence was a must for the owners with two rambunctious young dogs who liked to join them in their gardening adventures, so one was constructed of mahogany to match the interior paneling of the house. 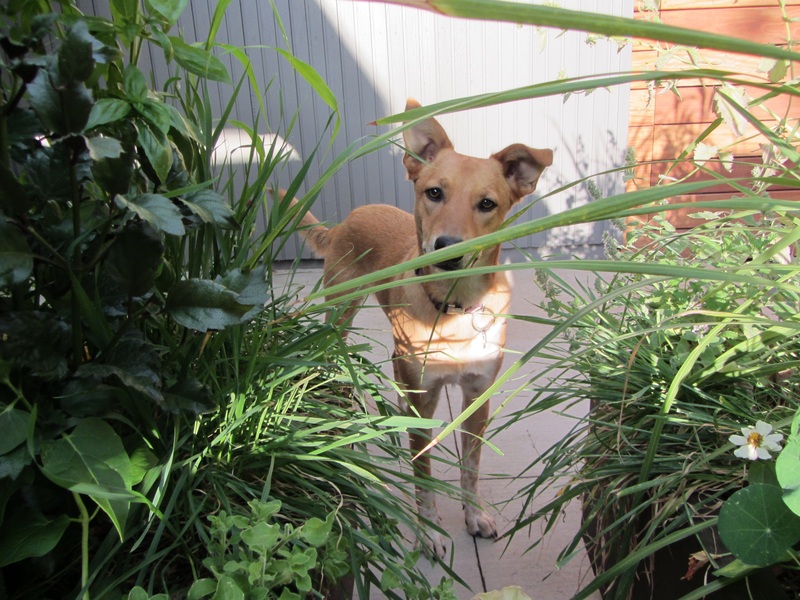 The ornamental grass in front of the fence provides a buffer from street traffic as well as forage for passing canines. The new garden has brought these newcomers to Krisana Park an opportunity to meet their neighbors and share the fruits of their agriculturally modern front yard. 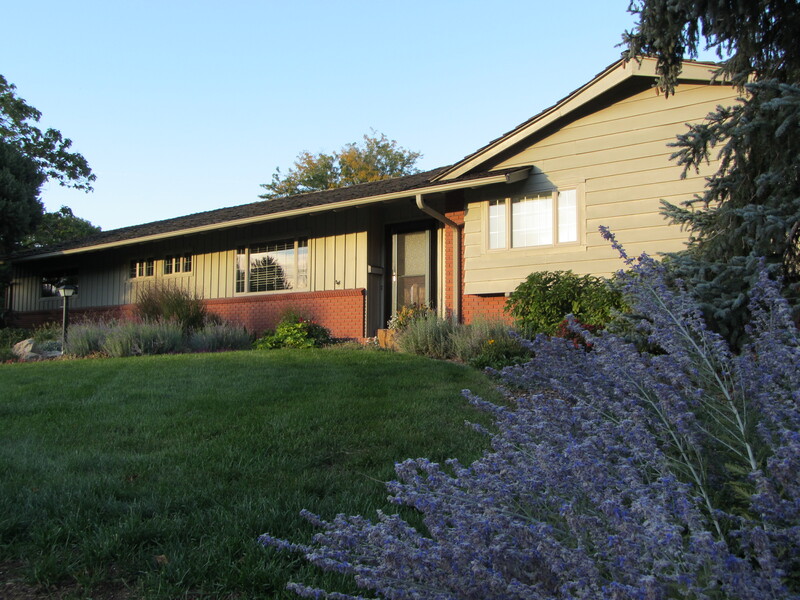 before | Like many owners of ranch homes overgrown by junipers, the owners of this beautiful Washington-Virginia Vale home were fed up with the green monsters…it was time for them to go. 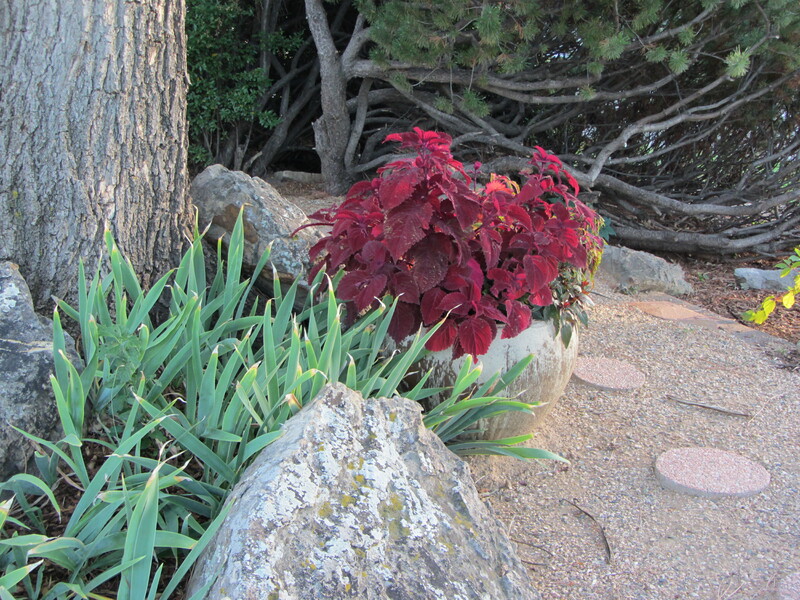 Of course, after the initial elation of any shrub-elimination project, panic sets in. 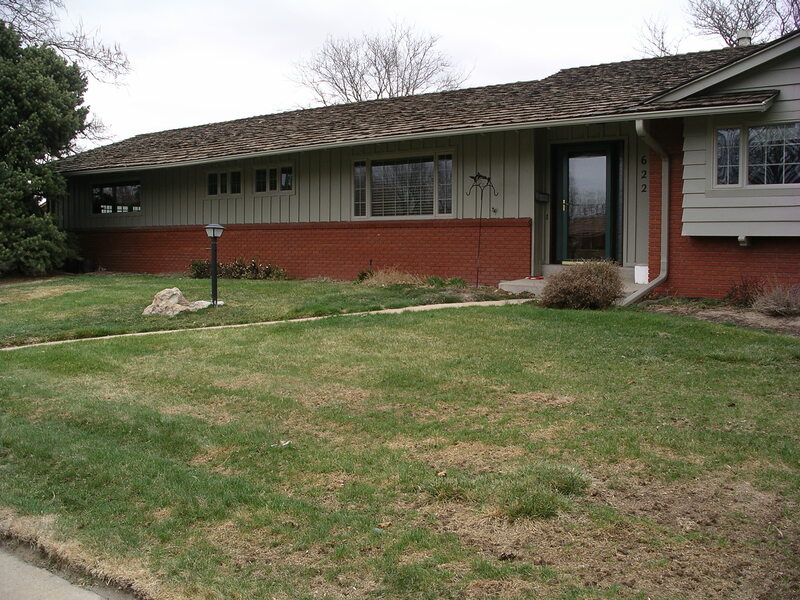 These owners realized that they needed to put something back in that complemented the home’s style and appealing lines…as well as kick a few more junipers to the curb. 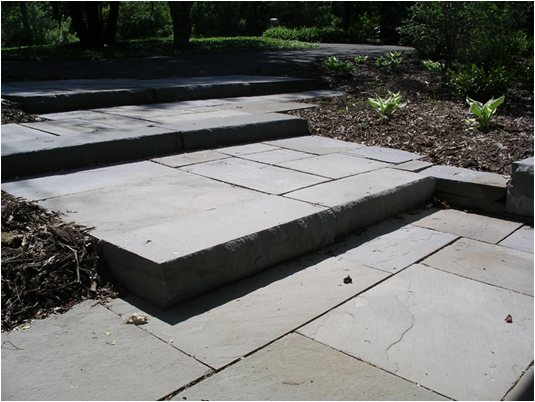 after | We created a subtle, but inviting landscape that featured native, low-water plants. 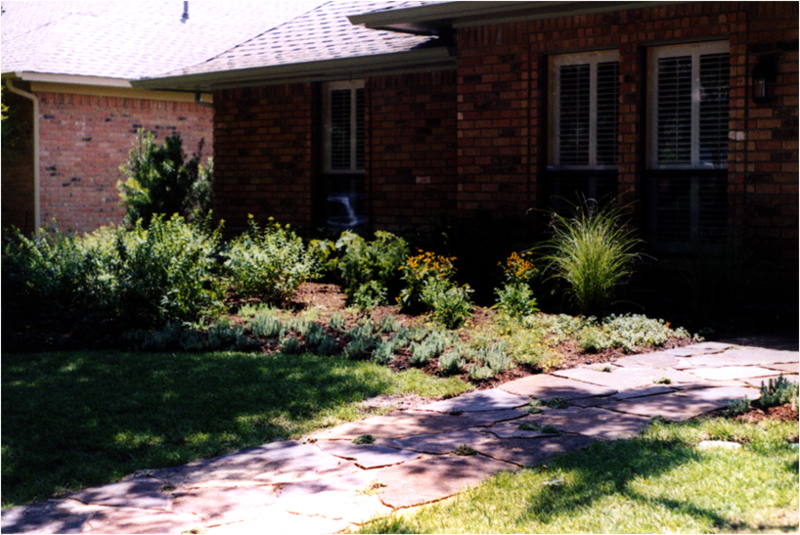 The design also pulled in deeper planting beds allowing for layering along the front of the house to create more depth as well as planting beds that reached down the sidewalk, so neighbors could enjoy the new landscape as well. 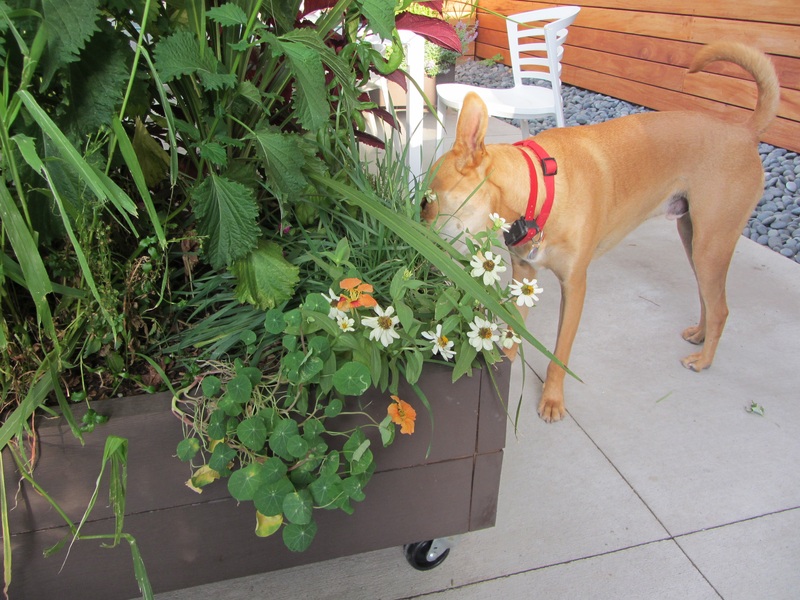 The design also sprinkles in planters throughout the design to add seasonal color and interest. 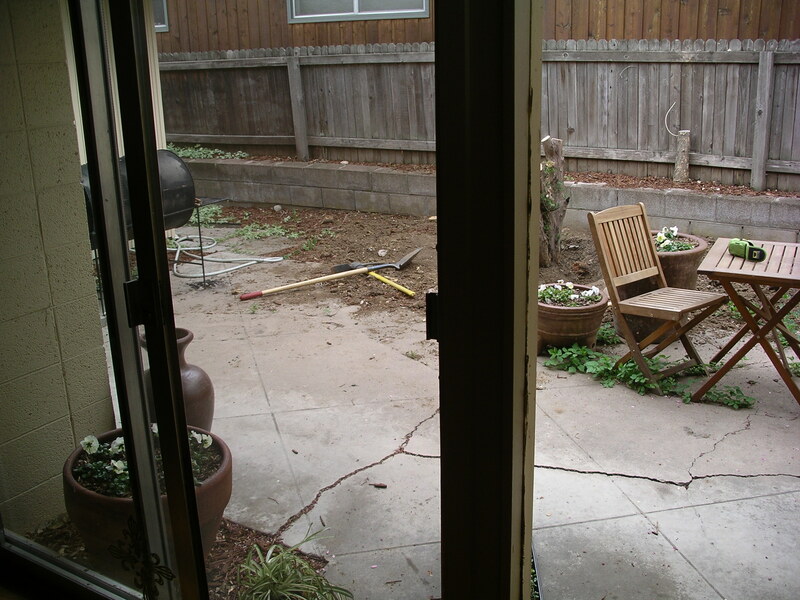 before | Wow, this patio had seen better days. This patio, right off the house’s living room featured such amenities as buckling concrete, a stump from a monstrous Japanese Yew, and an unsightly view of the neighbor’s fence and house. Yuck. 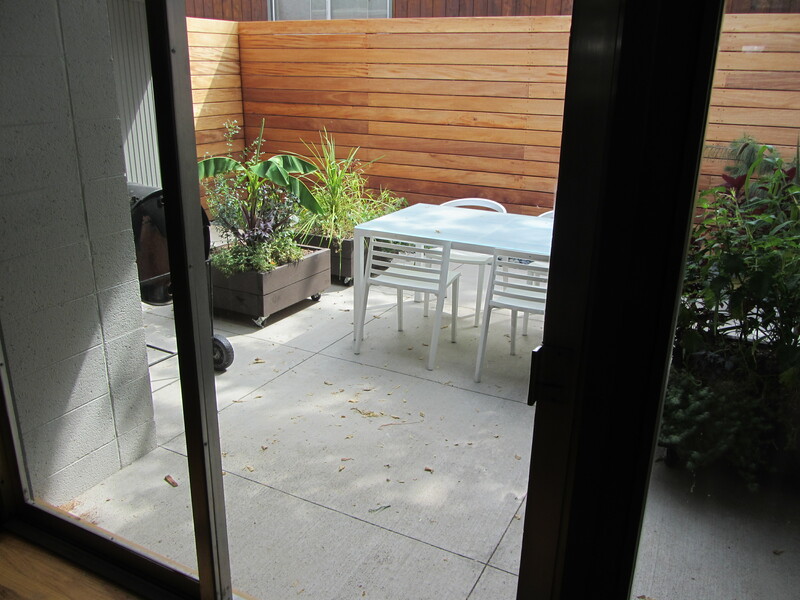 In the resurrection of this patio, the owners wanted to accomplish a few things: 1) make the place hospitable for flora and fauna, 2) develop a “catio” where their indoor cat could safely hangout without escaping, and 3) make the patio relatively dog-proof for their pups. before | The Parpias enjoyed their recently updated backyard, but needed to make the arrival to their house more inviting. They preferred simplistic and naturalistic plants and materials, but faced challenges in finding plants that could withstand the destructive deer population. after | Working closely with Parpias to address their needs and interests, we developed a plant list appropriate for their exposed site and deer problems. 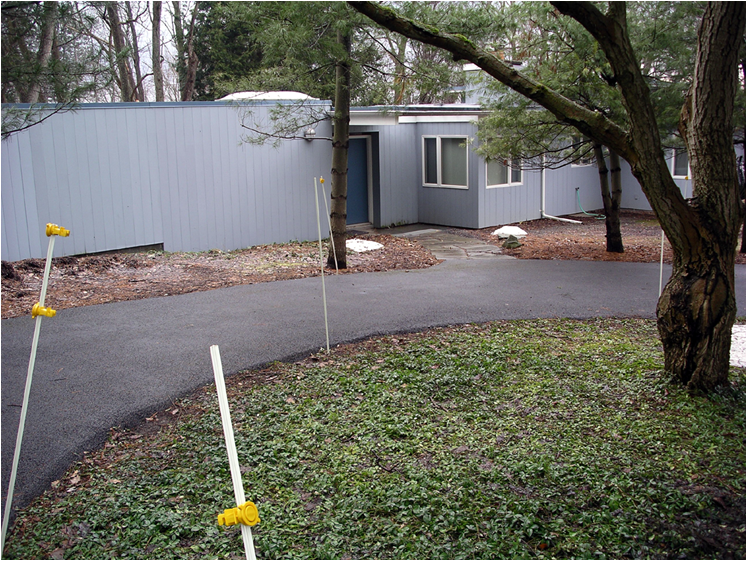 In the plan, we also addressed fundamental issues such as drainage issues with a yard that generally sloped into the house. 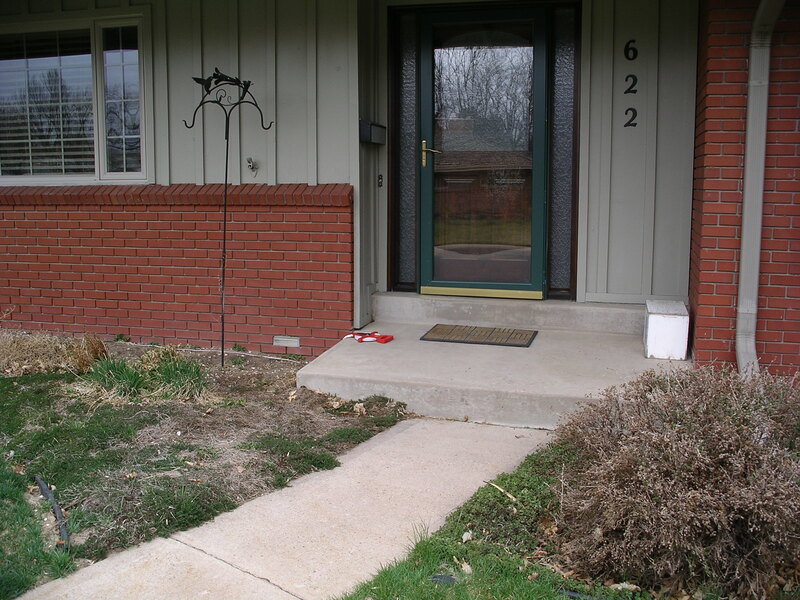 (never really a good thing as many folks do not grade well around a house) The result was a welcoming, and functional, entrance to an amazing home. before | The Verneys sought a more inviting entrance for their long-time home. 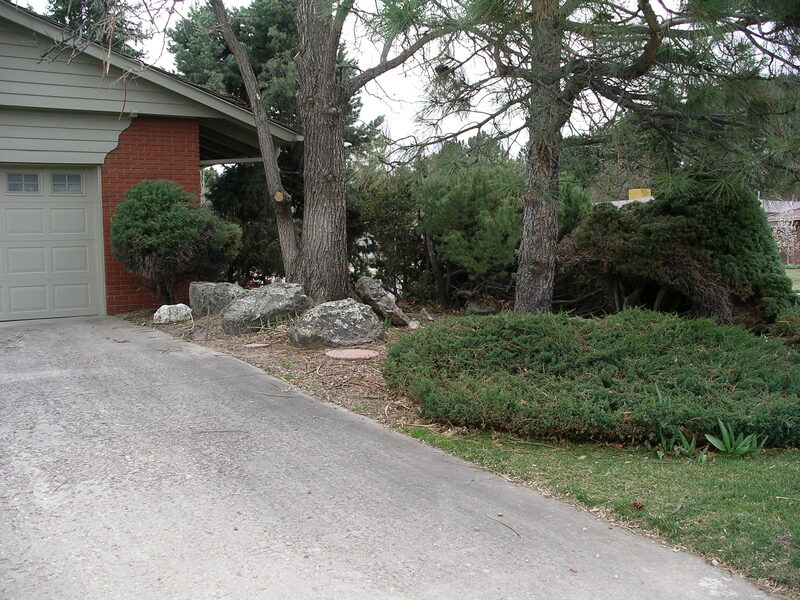 I love this example because it is representative of what many ranches have: a sidewalk down the middle of the yard and a row of shrubs in front of the house. This was a great opportunity to shake up that format a bit. 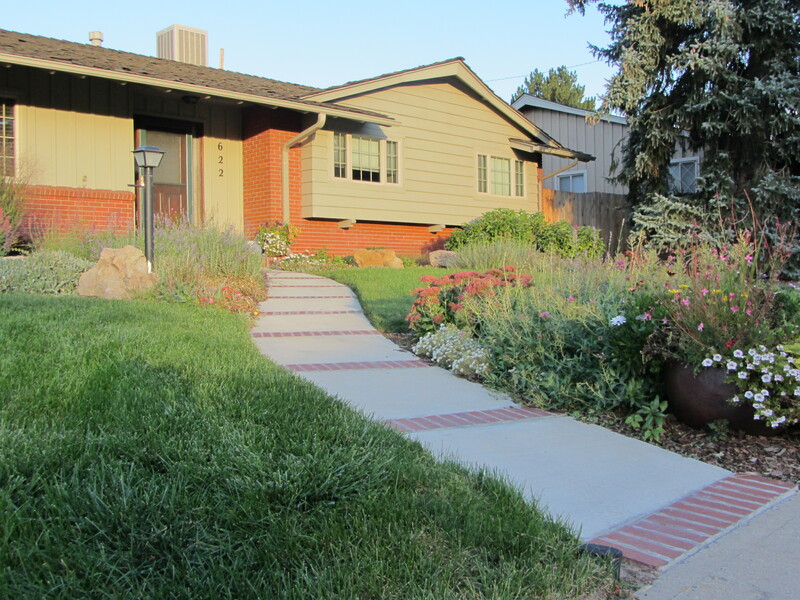 after | We destroyed the concrete sidewalk and put in a nice flagstone sidewalk that unified both sides of the yard. 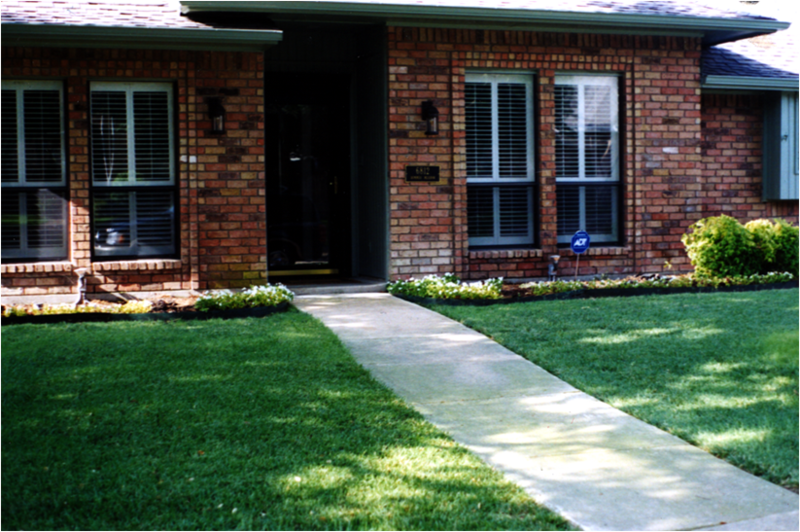 We also added a curvilinear planting bed that extended all the way to the sidewalk, and provided adequate space for nice layers of plants that framed the entrance to the house quite nicely. If you have any questions or would like to set up free consultation, please contact me at hchristine1980@hotmail.com or 720-363-6531.